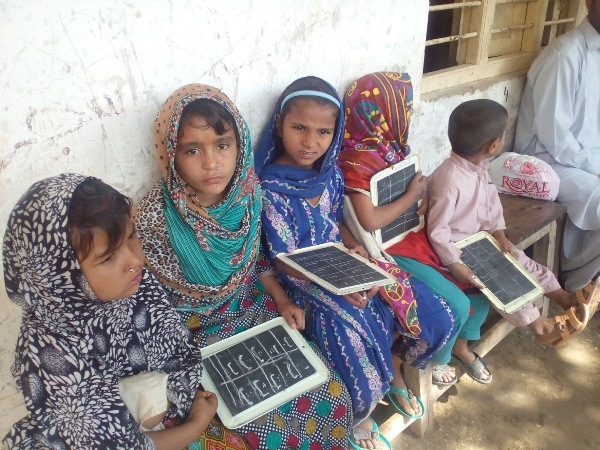 If you want to see how Sindh has failed its children, visit a public school in some of the obscure towns of the province. I was well aware of the fact that government-run schools had flaws, but the extent of this problem was always abstract for me, up until I had a first-hand experience. I was in Shikarpur recently (the city once known as the Paris of Sindh) to attend a cousin’s wedding. While in town, I thought it would be a great idea to see how education was faring in a place known for its academic excellence, considering Shikarpur has successfully produced various prominent poets, historians, politicians and bureaucrats. Much has been written about the education crisis in Pakistan, but to my surprise, I discovered that the real problems are often neglected in our discussions. Way too much emphasis has been laid on accessibility i.e. 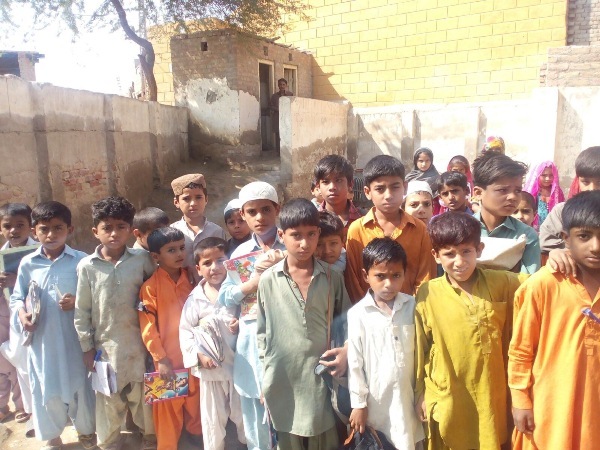 enrolling Sindh’s 6.2 million out-of-school children into schools. But what has not been talked enough about is why parents don’t send their children to school. Conventional wisdom usually argues that these folks simply don’t understand the importance of education. However, talking with teachers and parents, I learnt how completely baseless such a myth is. 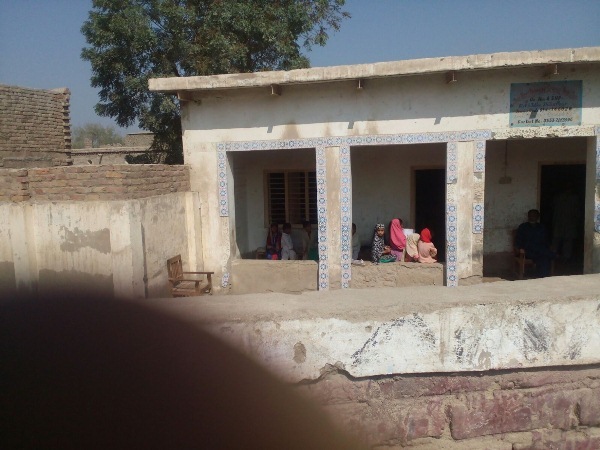 One reason why people in these villages do not show much interest in the district schools is the lack of basic facilities in government-run-schools. One such school I visited is shown in the pictures below. This school lacks even the most basic equipment such as chairs. Students are made to sit on the floor. Since there are no fans and bulbs installed in the classrooms, the class is conducted in a veranda where students sit under direct sunlight, while some raise text books to shade their face from the scorching beams. Since there are no fans and bulbs installed in the classrooms, the class is conducted in a veranda where students sit under direct sunlight, while some raise text books to shade their face from the scorching beams. The temperature that day was 38 degrees. These must be the most determined and passionate students in the world I thought to myself. The temperature that day was 38 degrees. These must be the most determined and passionate students in the world, I thought to myself. With help from friends, we provided the school with the desks and chairs. I must say nothing gives a person more pleasure and satisfaction than seeing these children smiling as they sat on these chairs for the first time. Out of nearly 200 students enrolled in this school, hardly 30 were present on the day I visited. One teacher highlighted that since there were no sanitation facilities in the school and many students would go home for this reason and not return. Out of nearly 200 students enrolled in this school, hardly 30 were present on the day I visited. This school lacks even the basic equipment such as chairs. Even though the education budget of the province has increased and the government claims to be spending more on public schools, the infrastructure has seen anything but improvement. The fact is that the largest chunk of this budget is being spent on raising teachers’ salaries and the so-called “School Specific Budget”. But one wonders what the purpose of increasing teachers’ salaries is when there are not even enough students to be taught in a class? In most government schools, teachers’ are political appointments who only show up on the day of elections. Why not spend the same money on improving the infrastructure that renders an enabling environment instead? While I share the essence of her argument, we must not forget that the ultimate purpose of a school is to render an environment that enables and motivates students to learn. Secondly, there is no mechanism to investigate whether children who are enrolled in government schools, getting stipends, free books and uniforms; are actually learning anything at all. With such an education, these children can barely be considered literate, let alone educated. We must also understand that the 21st century demands a holistic approach to education. Our schools need to encourage children to think out-of-the-box, nurture curiosity and help flourish innovation and creativity. Without these particular skills, even if we achieve a 100 per cent literacy rate, we will still be nurturing a generation of illiterates who will be a socio-economic and political problem for the country rather than future potential to reap benefits from. 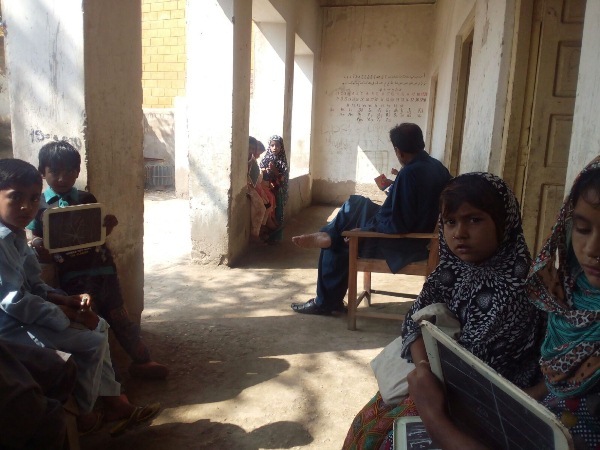 Would you send your child to a government school in Sindh? 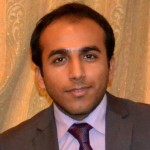 as sole authority running…..Pakistan Youth Loan Scheme. see her two ‘degrees’ and her ‘qualifications’ as a banker. to run a govt. loan scheme.